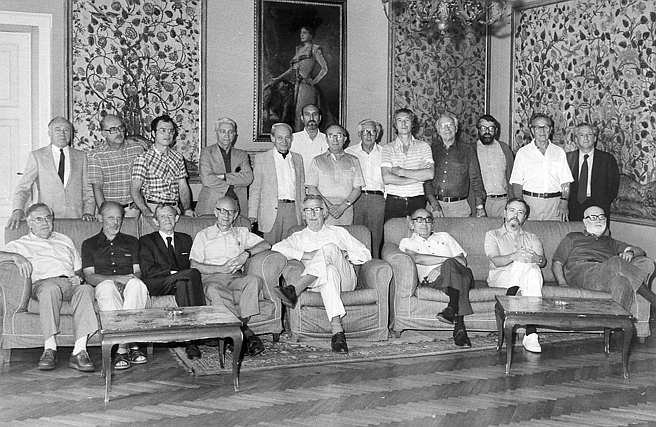 Left to right; seated: Frances Haber (history), David Park (physics), Kenneth Denbigh (physics), Julius Fraser (chronosophy, secretary-founder ISST), George Ford (literature, president ISST), Abraham Mendelov (psychiatry), Lewis Rowell (musicology), Thomas Sebeok (linguistics). The 'Verkeerskundig Studiecentrum' of the University of Groningen was established in 1977. 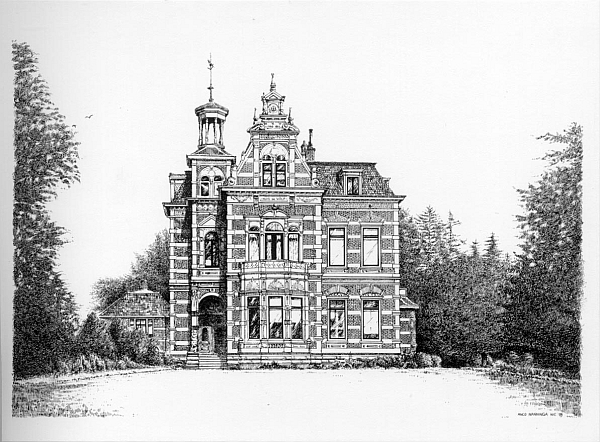 Between 1978 and 1993 it was located in the stately mansion, locally known as 't Huis De Wolf, depicted in this drawing from 1989 by Nico Nanninga.